Japanese women's Reversible Satin Kimono One Size M L XL Black-Claret red. Exclusive traditional ja..
Japanese women's Reversible Satin Kimono One Size M L XL Black. Exclusive traditional japanese kimo..
Japanese women's Reversible Satin Kimono One Size M L XL Black-Blue. Exclusive traditional japanese..
Japanese women's Reversible Satin Kimono One Size M L XL Black-Silver. Exclusive traditional japane..
Japanese women's Reversible Satin Kimono One Size M L XL Black-Dark Blue. Exclusive traditional jap..
Japanese women's Reversible Satin Kimono One Size M L XL Black-Pink. 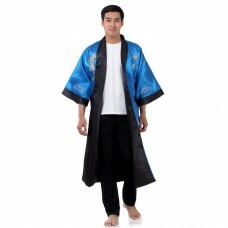 Exclusive traditional japanese..
Japanese women's Reversible Satin Kimono One Size M L XL Black- Blue. Exclusive traditional japanes..
Japanese women's Reversible Satin Kimono One Size M L XL Black - Violet. Exclusive traditional japa..
Japanese women's Reversible Satin Kimono One Size M L XL Black-Green. Exclusive traditional japanes..
Japanese women's Reversible Satin Kimono One Size M L XL Black- Light Blue. Exclusive traditional j..
Japanese women's Reversible Satin Kimono One Size M L XL Black-Red. Exclusive traditional japanese ..
Japanese women's Reversible Satin Kimono One Size M L XL Black-Lightblue. Exclusive traditional jap..
Japanese women's Reversible Satin Kimono One Size M L XL Black-Grey. Exclusive traditional japanese..